Coffee takes a long journey from the green, spongy coffee bean seed to the dark, aromatic beans we know and love – until it becomes the perfect cup of coffee you couldn’t get through the day without. As a coffee lover, you have no doubt contemplated from time to time what the steps may be while the bean is on that journey. To some, coffee bean roasting is truly an art, and to others it’s a science, but to most of us it’s a means to an end—that delicious cup of coffee. For the curious and uninitiated, here’s all you need to know about the coffee roasting process. There are four general varieties of roasts, going from light brown in color to a deep black. 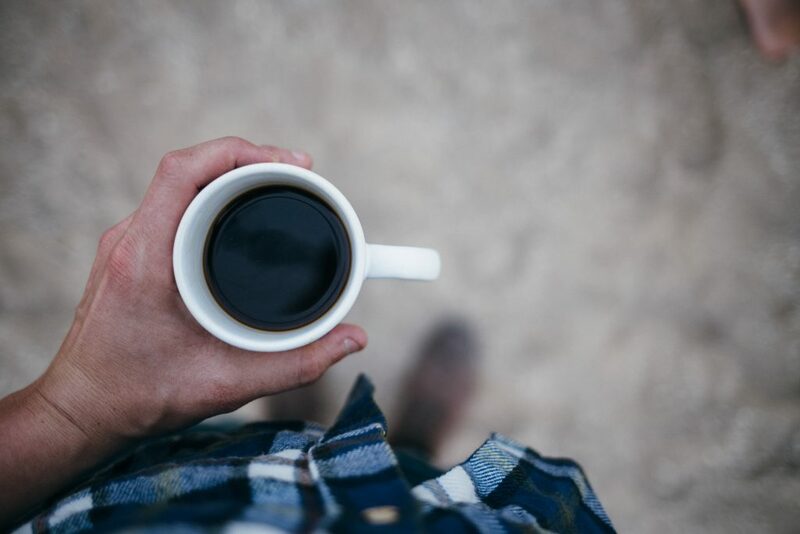 Lighter coffees are milder, while darker coffees tend to be more bitter. However, contrary to popular belief, the lighter roasts tend to have a higher concentration of caffeine. These include Light City, Half City, and Cinnamon. They are light brown in color, and there is no oil on the surface due to their short roasting time. These may be called City Roast, American, or Breakfast. They have a stronger flavor and are a medium brown, again with little to no oil present on the surface. Typically called Full City Roast, these have a rich dark color with some oil present, and a slightly bittersweet aftertaste. 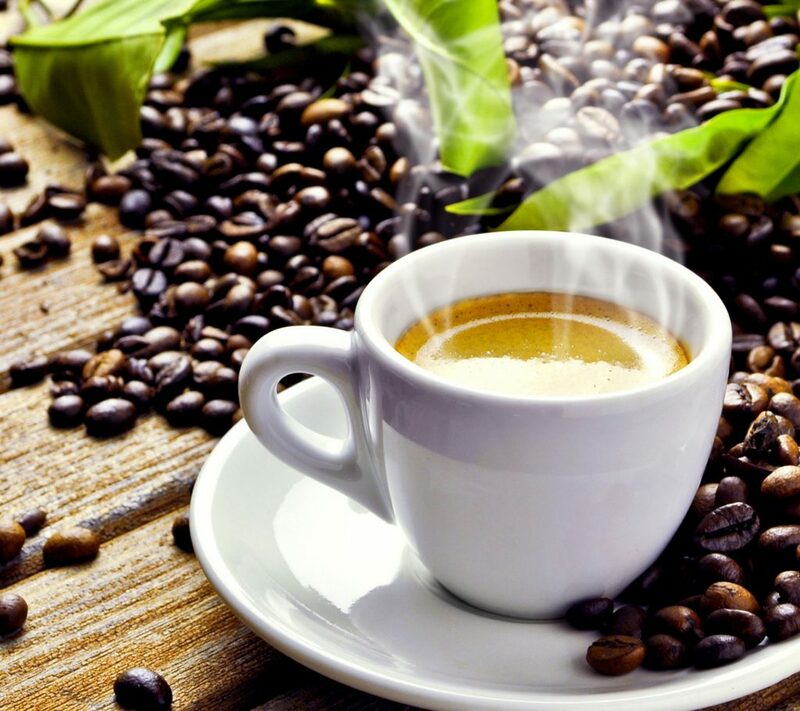 The names of coffees in the Dark Roast category include Espresso, French Roast, Italian Roast, Viennese, High Roast, European Roast, New Orleans Roast, and Continental. They are characterized by oily black beans and are decidedly bitter. Sometimes, these different variations of dark roast are just a matter of regional naming conventions, while others may indicate the beans have been roasted a bit longer or were derived from a different source. You will typically find that most dark roasts have a fairly similar taste, however. 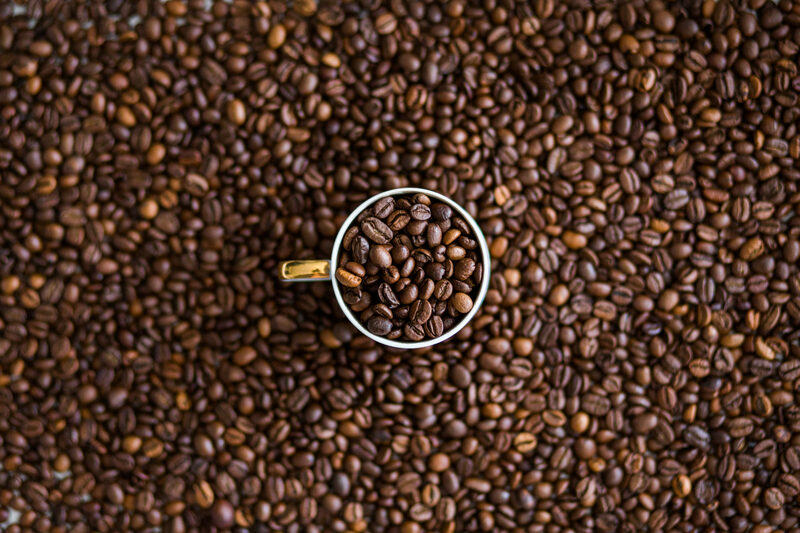 Your coffee beans start out as small, spongy green beans barely recognizable as coffee beans. Once they have been roasted to about 200 to 250 degrees Fahrenheit internal bean temperature, they have reached the yellow stage, although the bean’s appearance may be orange or tan. Steam may rise from the roaster during this stage, as moisture escapes. Once the bean’s internal temperature exceeds 250 degrees, it has arrived at the light brown stage, heading towards first crack, which usually occurs around 355 degrees. This is when the seed cracks and the bean expands. At 400 degrees, the bean has reached City Roast level, between first crack and second crack, and now is recognizable as the coffee bean you are likely most familiar with. Once the bean reaches 415 to 425 degrees, it is at Full City Roast, just approaching second crack. Continuing to roast will yield a Full City Roast, as the bean is in the second crack phase. Finally, at 450-510 degrees, the bean has reached the dark roast phase, with that black, oily bean that yields bitter, dark coffee that some people cannot do without. If you get your own coffee roasting machine and decide to roast your own coffee at home, it may take a while before you get the hang of roasting the beans exactly right. Once you do, however, you’re sure to impress your friends and enjoy the pleasure of having coffee taste exactly the way you want it to.